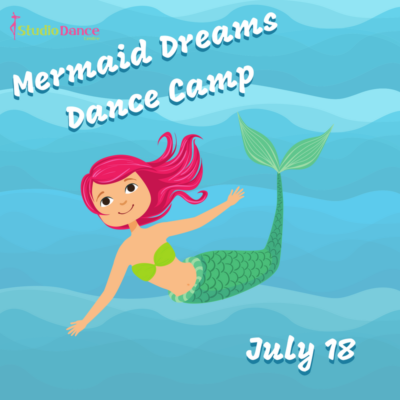 Is your little mermaid ready to come out of her shell and dance? Sign her up for our second pop-up camp of the summer! 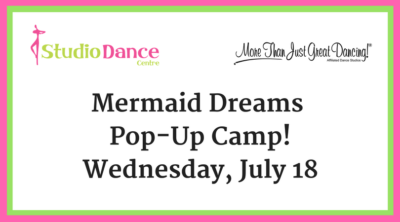 Join us for our Mermaid Dreams Camps on Wednesday, July 18 from 10:00am – 12:00pm. For $35, your child will enjoy ballet class, mermaid crafts, and dance games! No previous dance experience necessary. Open to ages 3-8. Reserve your spot in the camp by CLICKING HERE. Space is limited so that all of our mermaids have plenty of room to make waves! « Magical Unicorn Pop-Up Camp!